West Cliff Beach is one of the two primary Bournemouth beaches. The other being East Cliff Beach. 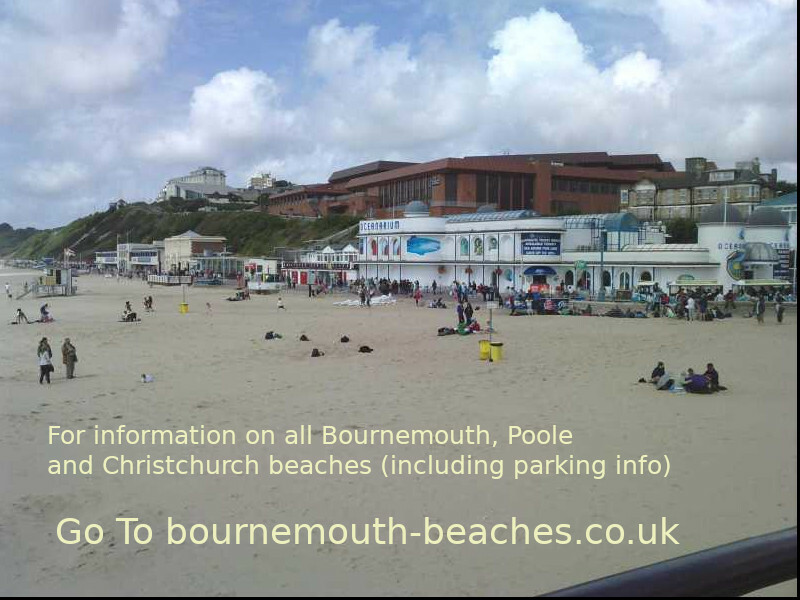 It occupies the beach strand from the West of Bournemouth Pier up to Durley Chine beach and is about 1.5 miles long. West Cliff Beach seen from Bournemouth Pier. West Cliff beach has many facilities and is regularly patrolled by R.N.L.I lifeguards. Deck chairs and wind breaks are readily available for hire, there are toilets, cafes and ice cream sellers. There is a Kidzone scheme run by the lifeguards in the summer to help prevent children getting lost on the beach. Like its counterpart the other side of Bournemouth Pier, West Cliff beach is primarily composed of a fine cream coloured sand. It is a very clean, safe and enjoyable beach. The promenade at the back of the beach is known as West Undercliff Drive. Pedestrian access can be made from either the Bournemouth Pier approach, Durley Chine or via the Zigzag leading down from the cliff top. There is also a cliff lift that operates between 09:15 through to 17:30 during the summer. Although arguably somewhat less busy than East Cliff beach, West Cliff beach can and does get quite crowded in the summer. While the East Cliff beach boasts a Harry Ramsdens, West Cliff beach has an Aquarium! So however you like your fish, for a family day, digging the sand, bathing in the safe waters or sunning yourself, either West Cliff beach is ideal.